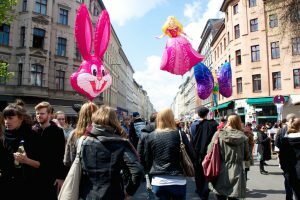 Join Berliners as they honour worker’s day by joining the Street festival and 1st of May parades. This year’s MyFest is against violence. It challenges previous violent clashes between the police and demonstrators by reclaiming the spaces around the Kiez in Kreuzberg and celebrates with peaceful festivity, culinary delights, performances, and live concerts. Not simply telling stories of the notorious German prosecution of Eastern European Jews, this exhibition highlights the diversity in reactions and resistance to the Holocaust, showing how the persecuted Jews were agents fighting for survival until the very end. It traces how individuals and groups in Polish, Hungarian and Belarusian Ghettos documented life there, lead uprisings and created resistance movements when faced with annihilation. Honouring May Ayim’s birthday on May 3rd, this performance focuses on the past, present and future life experiences of black women in Germany. The Ghanaian-German poet’s iconic engagement with and influence on the second wave of the feminist Black German movement is celebrated in this dance and spoken-word performance that cites her empowering poetry. It provokes thought on the topics of black feminist identities, political activism, and what form social justice should take today. Berlin’s 12th Polish Film Festival is finally here, marking once again the biggest Polish film festival outside Poland. The filmmakers bring to screen the Polish perspectives on life, society, and the world, screening films by well-known and lesser-known artists. Make sure to check out the full program to see which films are screened when! 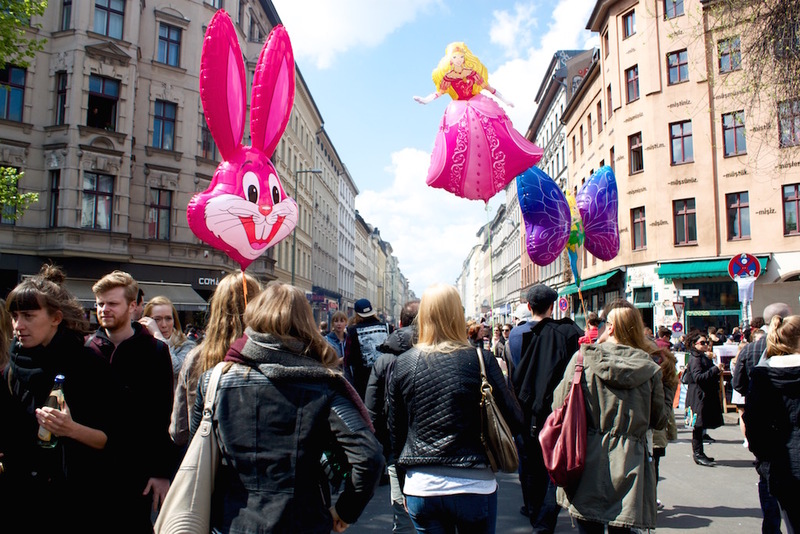 Known for its hedonistic techno scene, Berlin attracts many spirited persons. This evening invites the audience – techno lover or not – to reflect on their freedoms and privileges in having safe access to this scene, and how different things could have been by looking at the growing techno scene in regimented Iran in the documentary “Raving Iran.” This evening is dedicated to a newly-found appreciation and celebration of freedom, love and music while paying tribute to the Iranian rave and techno scene. What’s a better way to spend a Saturday afternoon enjoying live performances and animal-free (vegan and vegetarian) delicacies while engaging in discussions surrounding animal protection and animal rights? All profit made during the event goes to support animal protection organizations. In remembrance of the 500th anniversary of the Reformation, this exhibition traces the “Luther Effect” throughout five centuries and four continents. 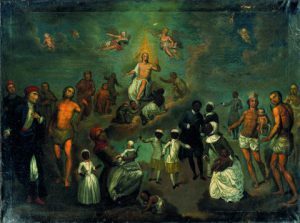 The exhibition examines the historical changes influenced by Protestantism and highlights its diversity in practice, while also raising the issue of Protestantism’s potential in triggering world conflicts. It investigates how Protestantism came into being and conducts a comparative analysis between it and other religions it encountered. “The Luther Effect” will show a dialogical relation between religions, continents and peoples in a time of encounter.